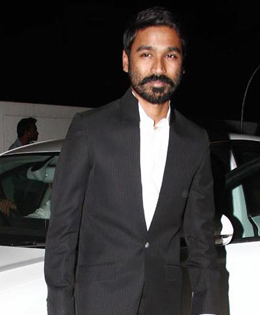 Dhanush will soon be foraying into the Kannada film industry! The actor-producer is currently producing the Malayalam film Tharangam in which Tovino Thomas is playing the lead role and has set his eyes on Sandalwood as well. He will be producing a Kannada film under his banner Wunderbar Films in association with noted Kannada producer Jacob Varghese. And for this project, Rishi of Operation Alamelamma fame has been roped in to play the lead role. “The script of this film is currently being worked upon and it is going to be directed by ad filmmaker Islahuddin. The film will be jointly backed by Dhanush and Kannada filmmaker Jacob Varghese and it will have shades of films that Dhanush’s production house is known for,” says a report in DC. If this materialises, then Dhanush will have his foothold in all the four South Indian languages as a producer. His recently released VIP 2 was produced by himself which released in Telugu as well. Currently, Dhanush is busy shooting for the first part of Vetrimaaran’s gangster trilogy Vada Chennai, the actor is expected to soon bid goodbye to his thick beard and will sport a twirled mustache for Balaji Mohan’s Maari 2.